UltrSel is an innovative sucrosomial selenium: a complex of sucrosomes of sodium selenate that ensures an excellent bioavailability and a proper intake of selenium. 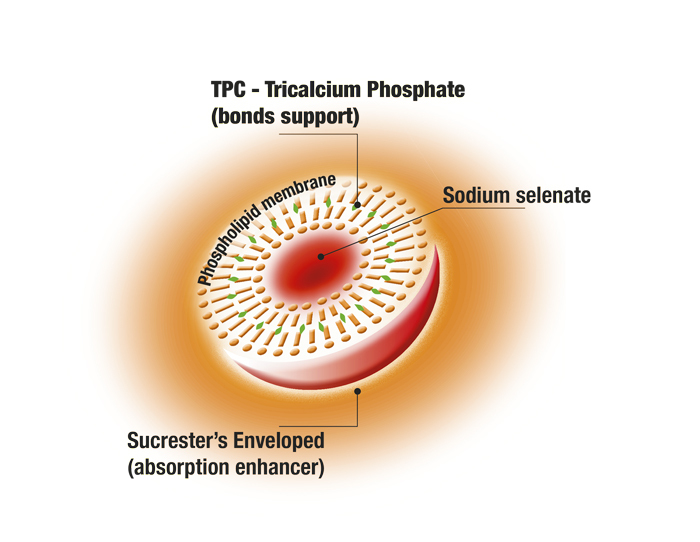 An innovative sucrosomial membrane allowing selenium to pass undamaged the gastric acid environment without interacting with intestinal mucosa and to be absorbed, thereafter, into the bloodstream. Food supplements: gelcaps, capsules, tablets. Functional foods: beverages, bakery products.